You know about the three bears, right? Uh – no you don’t! A dreamy new fairy tale from Ever After High. Faybelle Thorn has cast a spell on the midterm hexams. Now things at this magical school have gone all topsy-turvy. Oopsie! Rosabella Beauty and Cedar Wood have ended up in the wrong story. That’s right: they’re now in Goldilocks and the Three Bears. But that’s only the start of this magical mix-up. Someone has been blowing down houses – and now the whole forest is starting to panic. It’s up to Rosabella, Cedar and the Three Bears to get this storybook back on script! 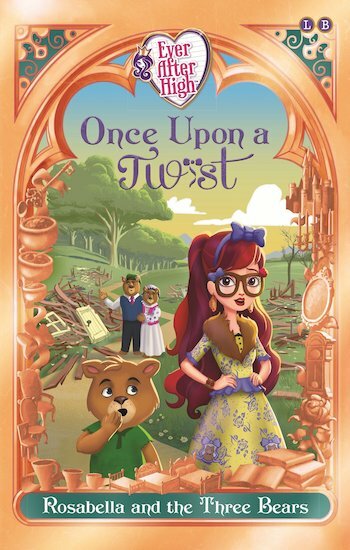 The Goldilocks story – with a spelltacular new spin!